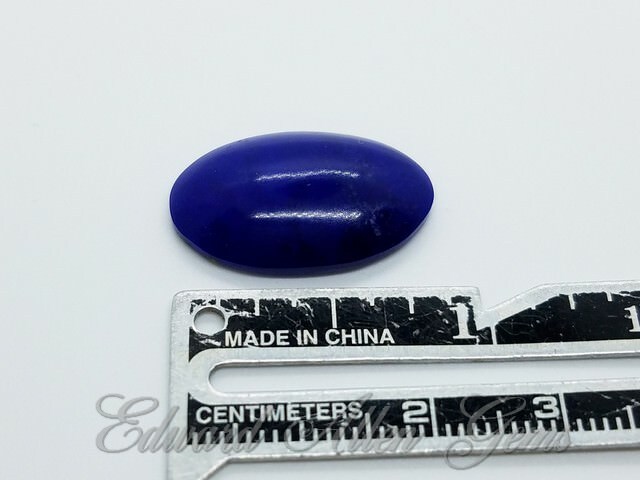 These are cabochons cut from natural Lapis Lazuli. We charge one shipping cost for all that will safely fit in a Small Priority Flat Rate box and will ship to the U.S. as well as Internationally. First Class Shipping available upon request. 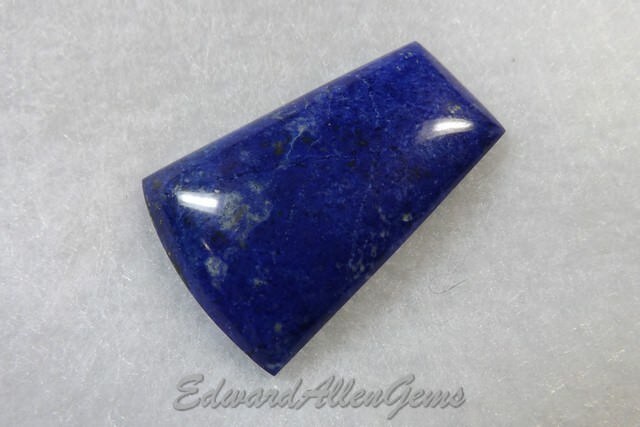 This is a small cabochon cut from a nice, quality piece of Lapis Lazuli from Afghanistan. 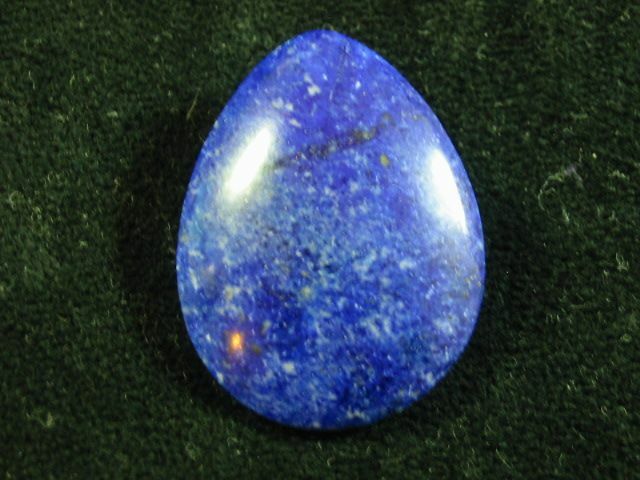 It's a beautiful rich, dark blue. 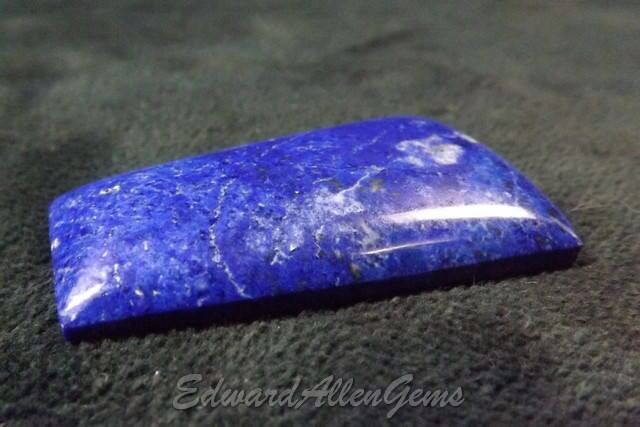 It is 22 x 14 mm and just under 5 mm thick. It weighs 12 carats. It has a nice polish on it, including a light polish on the back side. First Class shipping available upon request. 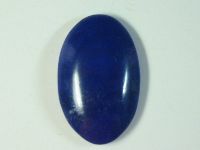 This is a shield-shaped Lapis Lazuli cabochon. The material is from Afghanistan. 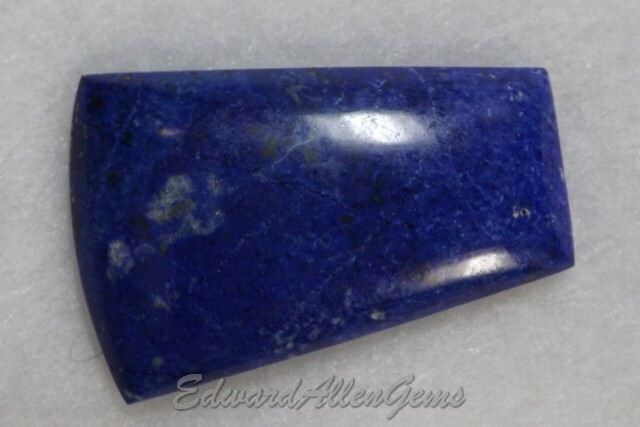 The coloring of this piece is a little darker blue than it looks in the photos - not as 'royal' as it appears. 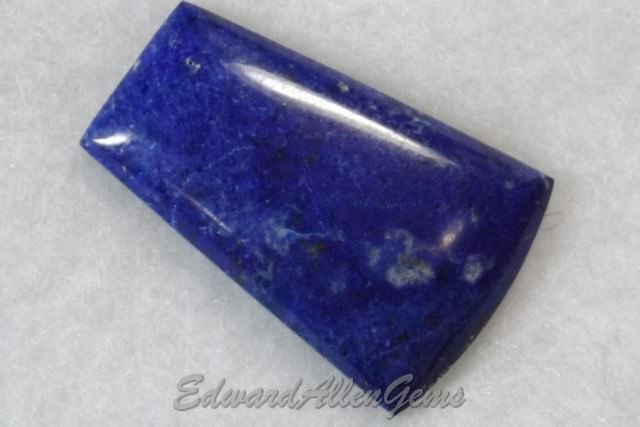 It is 47 x 31 mm at its widest points, and just under 7 mm thick. 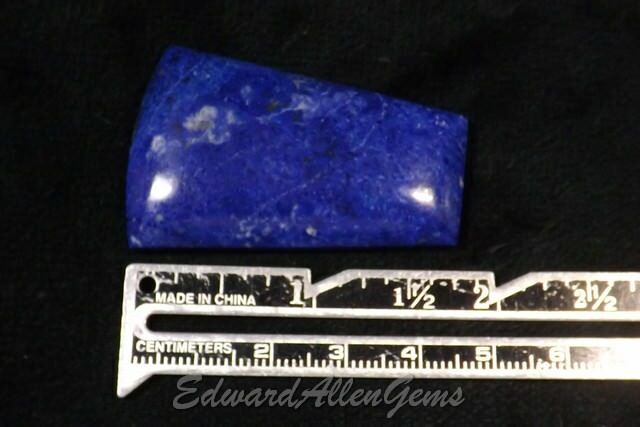 It weighs 17.2 grams (86 carats). 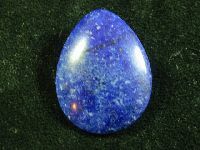 It is polished on the sides and front, the back is not polished. All ready for a special setting! First Class shipping available upon request. 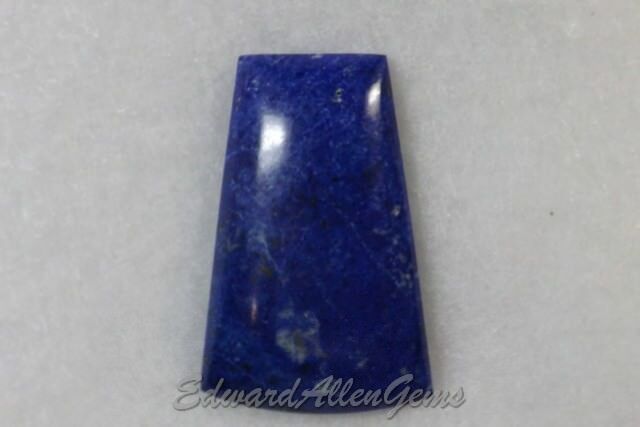 This is a very nice, high quality Afghanistan Lapis Lazuli cabochon, cut by Ed. 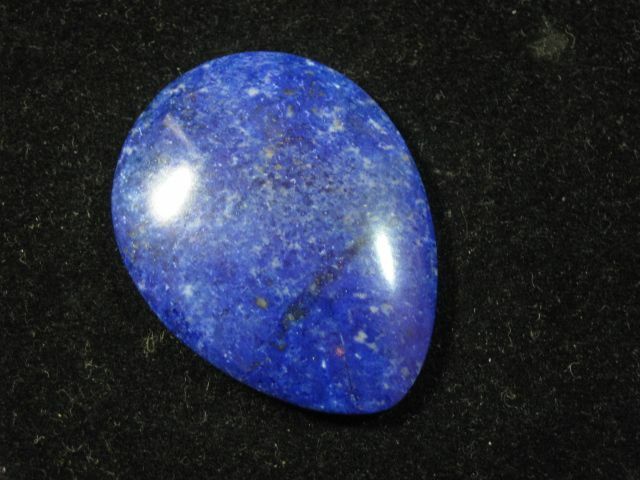 It has some small flecks of calcite mixed in with the beautiful blue lapis. It's 30 x 40 mm and just under 7 mm thick. 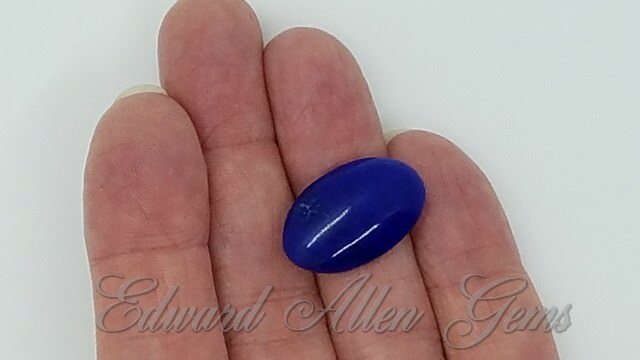 It weighs 10 grams, or 57 carats. First Class shipping available upon request.